Ranjish.com has lots of Urdu Rehana Qamar Poetry. Feel free to add your own Rehana Qamar Shayari here. Rehana Qamar was born in Pakistan and then later she decided to get settled in the US. Rehana Qamar‘s book “Kash Tum Sey Koi Bewafai Karey” was a big hit among literature lovers. Rehana Qamar’s other poetry books include; Soch Ki Dehleez Par, Magar Tum Apna Kheyal Rakhna, Hum Phir Na Milein Shayed, Tum Ho To Mein Bhi Hun, Mar Key Bhi Tumharey Hein. Looking at the names of her books, one can easily guess that her poetry targets Love and Affection. We bring you the hand picked Rehana Qamar ghazals and two liners to enjoy. 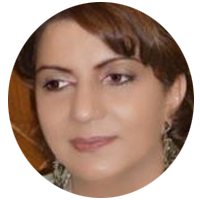 We update our poetry database on daily basis so keep coming back for more Rehana Qamar.